I think I got the best complement ever last week when I asked Rakesh about his perception of me, or why he asked the question the day before “if I am an excited person”.”Do you think I am?”, I asked him. The response was: “NO, I don’t get you. You are like an IKEA chair: you have a really good idea, and you are about to produce it not knowing that the market really wants it, and you will sell for a billion dollars”. The truth of the matter is: I do believe that the market want this. And funny enough: I already had IKEA in my vision statement. To enable and capture transformational journeys worldwide. 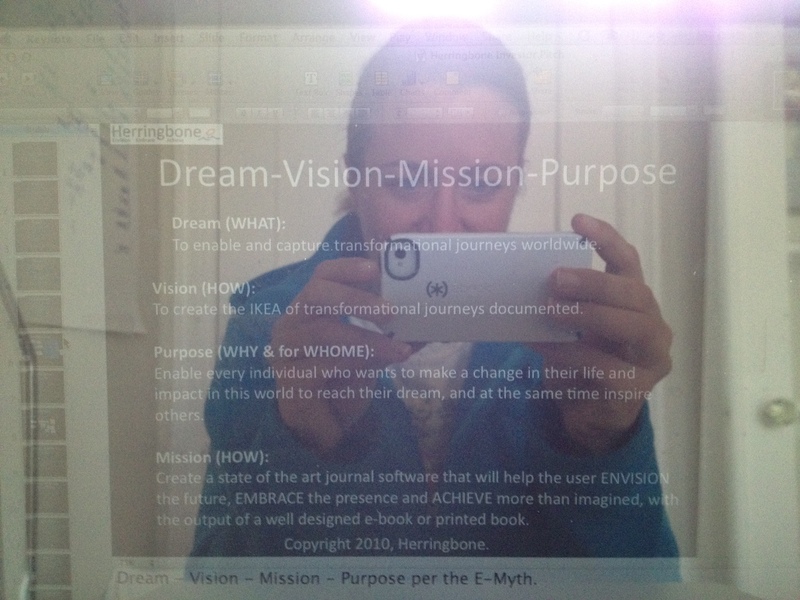 To create the IKEA of transformational journeys documented. Enable every individual who wants to make a change in their life and impact in this world to reach their dream, and at the same time inspire others. Create a state of the art journal software that will help the user ENVISION the future, EMBRACE the presence and ACHIEVE more than imagined, with the output of a well designed e-book or printed book. Not only has Facebook and Timeline become, sort of, one of the competitors. Now, seeing the below video from CNN, I am fearing that IKEA itself is tapping into my field… Although, the Herringbone solution is much more straight forward. 😉 I bet you would be willing to give it a try. Hm – what started out as “awkward” this morning hit me as “actually – its not that bad”, after half a package and a few hours later. 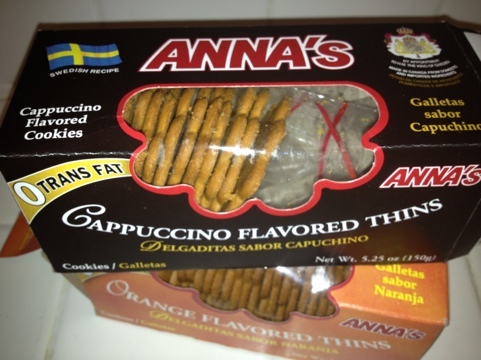 It’s Cappuchino Flavored Thins I’m talking about. With other words Anna’s traditional Christmas ginger cookies with a different twist. And 0 Trans fat! Only at IKEA abroad. …instead of these for dinner… But actually – not that bad. Sometimes you just gotta give it some time and trial. Or, does ‘hunger’ make you blind? Want the real good stuff! I know it’s there. The Marabou chocolate at least…? Please.